Professor John J. Medina is an Affiliate Professor of Bioengineering at the University of Washington School of Medicine. He holds a Ph.D. in Molecular Biology from Washington State University. In 2004, he was appointed to the rank of Affiliated Scholar at the National Academy of Engineering. 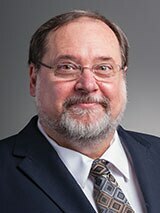 His teaching recognitions include the University of Washington's College of Engineering Outstanding Faculty of the Year; the Merrell Dow/Continuing Medical Education National Teacher of the Year; and, twice, the Bioengineering Student Association Teacher of the Year. Professor Medina has been a consultant to the Education Commission of the States and a regular speaker on the relationship between the cognitive neurosciences and education. With a lifelong fascination with how the mind reacts to and organizes information, Professor Medina is a leading advocate for brain research and its potential application to real world problems. He founded two leading brain research institutes and has spent most of his professional life as a private analytical research consultant, working in the biotechnology, pharmaceutical, aerospace, and technology industries on issues related to mental health. He is the author of several books, including the New York Times bestseller Brain Rules: 12 Principles for Surviving and Thriving at Work, Home, and School.